Solar Powered Signs Signs of all Shapes, Sizes, Colors and Designs. International Sign in Sarasota,St.Petersburg,Ft. Meyers and surrounding areas. Welcome to Sign X-Press The premier provider of Solar Powered signs. We are happy to help you meet your Solar Powered signage needs. Solar Powered Sign even illumination at night. 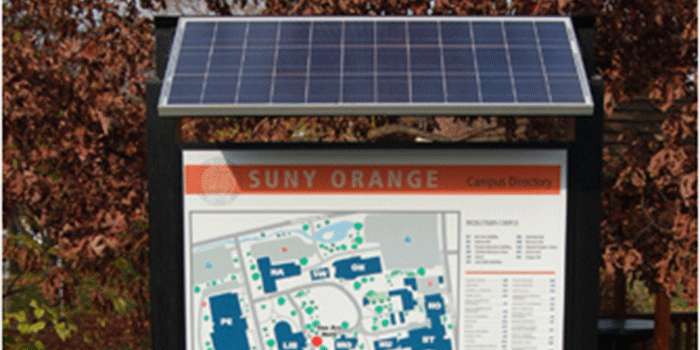 A Solar powered sign adds "the green" to "going green". "The green" is the cost savings from energy-saving, which drops directly to your bottom line. "Going green" is the environmental statement you make which customers and clients see and increasingly appreciate. The U.S. Department of Energy estimates that the rapid adoption of solar devices will cut the country's so-called carbon footprint the equivalent taking more than 45 million cars off highways or planting more than 40 billion with a "B" trees. Each solar powered sign can save more than 7,000 pounds of carbon emissions, which is equal to planting over 500 trees during the 25-year lifetime of each sign. Installation is significantly less expensive than electrical lighting. No expense of digging up concrete or asphalt to run power to where you want the sign. No expense of wiring from a main power source to the solar powered sign. 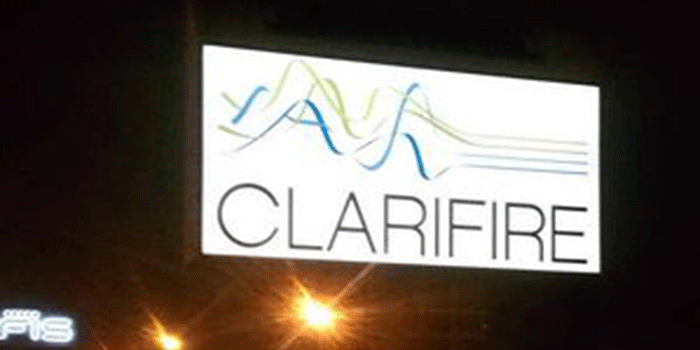 Your cost is fixed, and amortized over the life of the sign. That means you've paid for energy at the start, while electric signs generate an electric bill each month, and electric rates over the next 25 years are destined to rise significantly as traditional power sources shrink. You can generate more business by placing this signage in places you can't wire a traditional sign. How does a solar powered sign work? 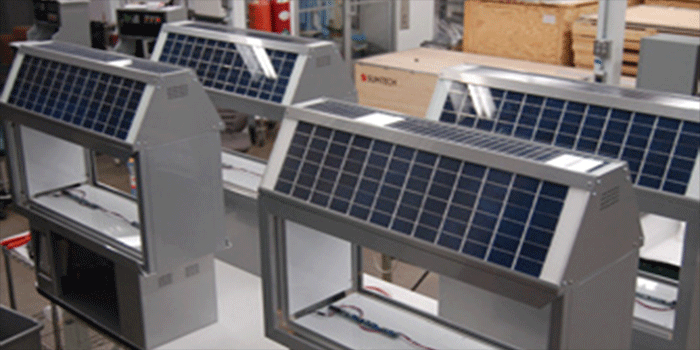 Solar power is produced by collecting sunlight and converting it into electricity. This is done by using solar panels, which are flat panels made up of solar cells. 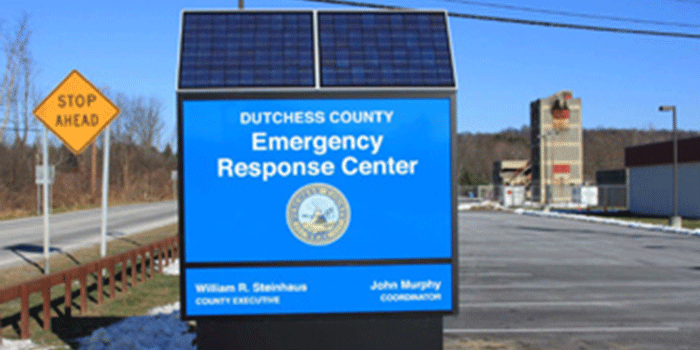 We incorporate advances in solar technology and create custom signs for any need. What happens when there's no sun? Hassle-free, large capacity batteries are part of the package. The batteries are recharged during the day by the solar panels. The power from the batteries is only used a night. Next generation batteries can give you up to two weeks of power without sunlight. Electronic timers allow you to set start and stop times, conserving battery power. You may decide there is no need to invite customers in, or advertise where your business is, when traffic is non-existent in the middle of the night. What's an effective purpose for a solar powered sign? You may see solar stop lights, street lights and stop signs in many cities. Local, state and federal governments have discovered the cost savings and fixed costs. Perhaps you'd like a stop sign or yield sign to control traffic on your property. Custom messages: What's your specialty? Want to reinforce your brand? What do you offer that your competitors don't? 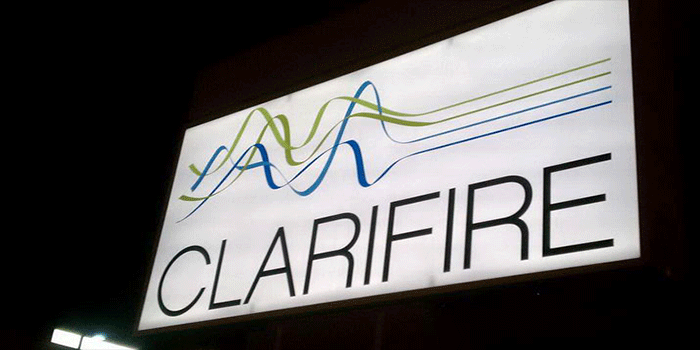 Develop a custom message and we customer a solar powered sign to achieve your results. Special event messages: running a special? Saluting an employee? Showing support for our troops or encouraging citizens to vote? Special event messages add prestige to any business. Location identification: with the advent of the strip shopping center, and the need to drive retail and service customers to your door, simply identifying your business as "here", "next right", "open evenings" and other messages is essential, and effective with one of our custom-made signs. It's self-contained, so it's simple to move your sign to another location. You can experiment with the most effective placement to drive traffic or increase "eyeballs" on your advertising. 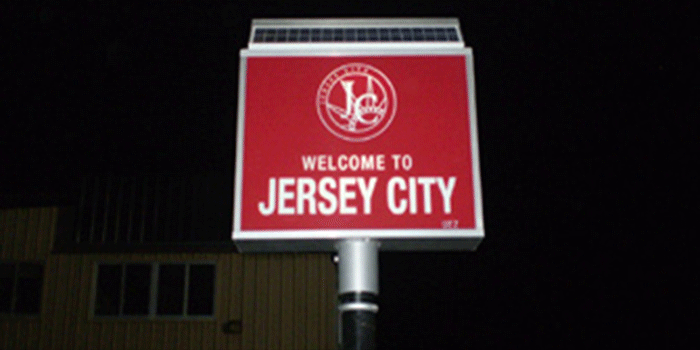 Get the solar powered sign that's right for you Contact Us Today! Beat your competitors to the punch! Be the first to discover the benefits of solar! 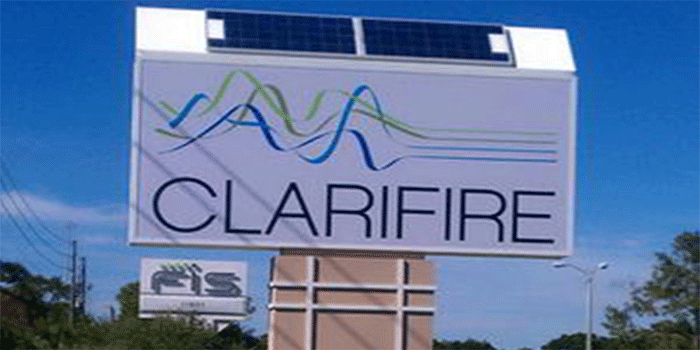 We offer solar powered signs in St. Pete, West Palm Beach, Sarasota, Tampa Bay, Orlando, Ft. Myers, Ocala and Naples as well as nationwide and around the world. Great retail Solar Powered signs are a big portion of your business's decor and make up a considerable part of your supporting advertising efforts. With good Solar Powered signs your customers can learn more about your products, services or current offerings in a completely passive way that keeps them feeling comfortable and uninterrupted. Your potential customers will definitely be influenced by your Solar Powered signs, and will often even make buying decisions based on the information presented on your ads. Sign X-Press is here to help with all your Solar Powered sign needs. We are also sign manufacturers specialists and would welcome an opportunity to serve you. We've got a huge variety of Solar Powered signs and are confident that we'll have what you need no matter what you're looking for! Our friendly, knowledgeable staff are glad to help you make decisions, too, and spend the time to make sure that you know which product is best for you and your business. With over 35 years in the sign manufacturers business area Sign X-Press is ready to help you. Our Solar Powered sign from Sign X-Press was the best investment I've made in my business. The influx of new customers I can relate directly to our Solar Powered signs from Sign X-Press is enormous. Best decision I've made this year! - Customer of Sign X-Press. Depending on your location, a custom Solar Powered sign that engages your potential clients quickly and effectively is incredibly valuable, and could make a major difference in the amount of new traffic that your business receives. A new, engaging, highly visible Solar Powered sign is exactly what you need to draw your potential customers in, put them face to face with your friendly staff and superior services, and ensure that they become long term clients. Don't let your potential new business slip away simply because they didn't even know notice that your business was there. At Sign X-Press we know the value of a quality Solar Powered sign and we strive to do our best to provide you with a quality Solar Powered sign that maintains your brand and draws your customers in.